Facebook may still be king of the social networking empire, but Periscope is swiftly carving out its own niche. 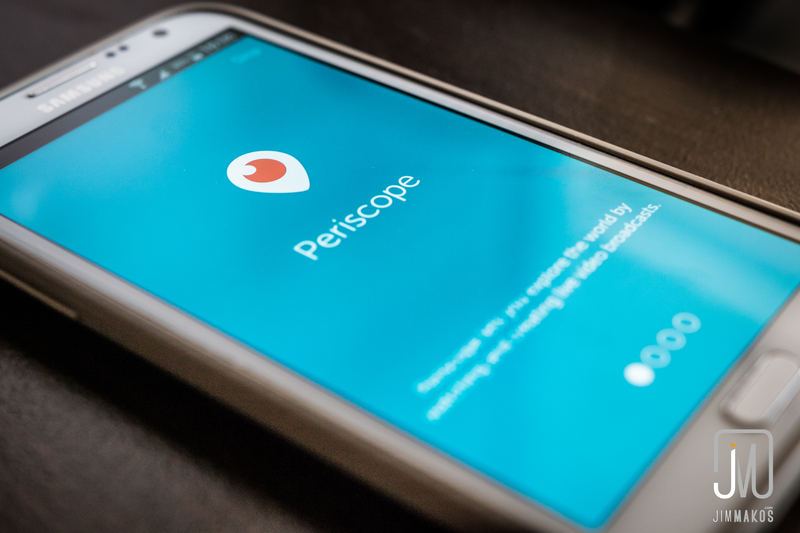 Leveraging the popularity and potential of live streaming technology, Periscope has made a name for itself as the newest and most progressive platform available. Whether that newfound popularity sticks remains to be seen, but major brands and small businesses alike seem to think Periscope – and social live streaming in general – will be around for a while. Thanks in large part to a millennial demographic that loves video – and has already warmed up to the idea of it by virtue of using popular video apps like Vine and Snapchat – live streaming social apps such as Periscope have experienced a relatively quick rise to prominence. As a business owner or marketer trying to build modern social and inbound marketing strategies, you should be studying and using this app. There’s no other way around it. We’re still in the infancy of Periscope, but there are already some pretty good examples of how leading brands are using it to engage with users. Let’s take a look at a couple of examples. Red Bull. For the edgy Red Bull brand, Periscope made sense from the start. It was a fringe social app with progressive roots, something the energy drink giant could relate to. They used it during Miami Music Week this past April to showcase concerts and crazy stunts. Since then, Red Bull has experimented with a number of other events and reports positive reviews. Doritos. As far as we know, Doritos was the first brand to use Periscope to run a competition or contest. They did so by combining the power of Periscope with the existing popularity of apps like Twitter and Vine. They called it #DoritosRoulette and the game involved a roulette wheel made of chips. The contestants were chosen – at random – from the live Periscope audience. The contest was so successful that other brands have followed suit. Adidas. As Edwards mentions, Adidas probably gets the award for most creative use of Periscope. They actually let soccer fans watch star player James Rodriguez sign his new contract extension on live stream. That may not sound incredibly interesting, but shows just how unique these live streams can be. While there’s something to be said for coming up with your own unique Periscope strategies, let’s review a handful of common branding-building techniques companies can use to maximize the value of the popular live streaming social app. Engaging customer support. No more confusing customer service calls – why not use Periscope to offer customers live streaming video support? Take a technology company that sells computer software, for example. Instead of trying to guide a disgruntled customer through a problem via voice commands, the customer service rep could use video to show the customer exactly what needs to be done. Breaking news. Nothing says ‘breaking news’ quite like live streaming video. Instead of publishing a boring press release or waiting to produce an email newsletter, brands can break news via Periscope. It’s sure to garner a lot more attention and automatically elevates the magnitude of the news. Interviews. Many companies find value in producing podcast interviews with industry experts, company leaders, celebrities, and brand ambassadors. Well, complimenting podcasts with live streaming video sessions is sure to diversify the audience. It also gives users a chance to do more than just listen. They can actually ask questions and interact with the interviewee. In fact, some brands may even choose to let the audience conduct the interview. Celebrity takeovers. When presidential hopeful Hillary Clinton used Periscope to broadcast her first campaign, she let Olympian Michelle Kwan host the stream. It was a genius idea, which allowed Clinton to attract even more viewers than she would have without a recognizable host such as Kwan. It’s totally normal to have hesitations regarding Periscope. If it doesn’t feel as natural as Facebook and Twitter yet, that’s okay. It will take time to get familiar with the platform, but that’s no reason to avoid it. All signs indicate that live video streaming is the future of social media and that apps like Periscope will play a major role in social media marketing. Sit down with your team and brainstorm creative ways you can leverage it. It’s better to get ahead of the game now, rather than play catch up in six months or a year.